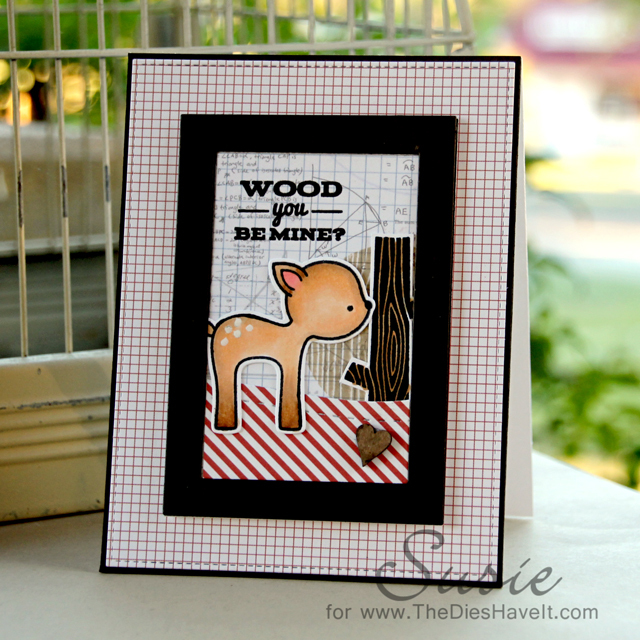 Created 4 Creativity : Wood You be Mine? Is it just me, or are we all loving the little critter stamps? I don't have too many, but I just really enjoy coloring them and using them on my cards. This little scene is from Lawn Fawn. The frame, wooden circle stamp and sentiment are all from MFT Stamps. It's fun to mix the different stamp and die sets I think. Now go be sweet to someone you love and I'll do the same.